I had wanted to make a decorative gift box for a while, but just did not feel inspired by the papers, cardstock or punches I had. The Pool Party cardstock, which if you read my last post you will know I adore, has changed all that. I also recently bought some of the International Bazaar Designer Series paper from the Stampin Up clearance rack. There are some beautiful colours and patterns in the pack and a couple of them go beautifully with the blue card. 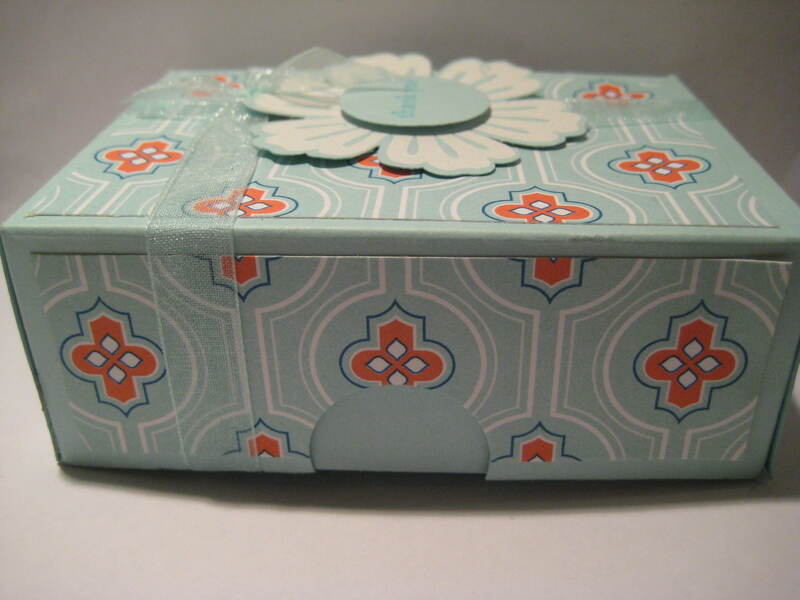 The box is based on one made recently by Sam at Pootles Papercraft. 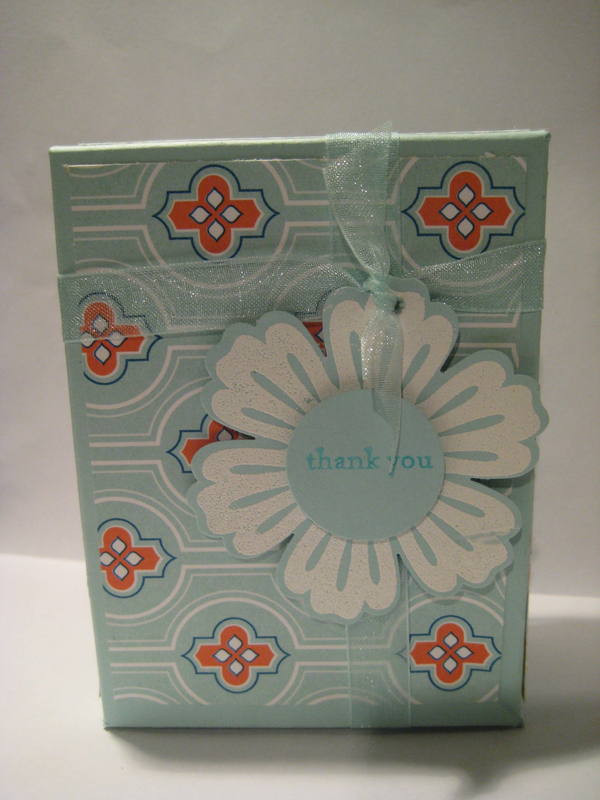 I had some taffeta ribbon which was the perfect colour, the flower tag is from the Mixed Bunch stamp set simply heat embossed in white, and the “thank you” is from the sentiments set which arrived this week. I really like the end result, and have a feeling it is not going to be the last decorative box I make. Thank you Sandie. I really enjoyed making it.